Today, the story of the City of David continues. Deep underground, the City of David is revealing some of the most exciting archeological findings of the ancient world. While above ground, the city is a vibrant center of activity with a visitor's center that welcomes visitors for an exciting tour to the site where much of the Bible was written. The tour of the City of David begins with a breathtaking observation point overlooking Biblical Jerusalem which sends visitors 3,800 years back in time, to the days of Abraham, when the first foundations of the city were laid. 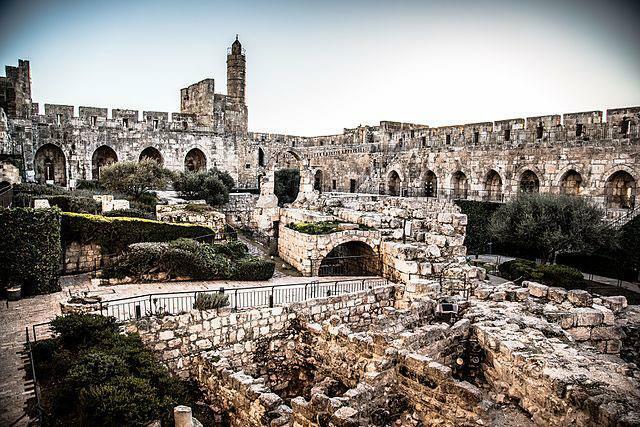 As one moves through the site, one comes in contact with archaeological excavations and thrilling biblical findings that span thousands of years of history including both First and Second Temple Jerusalem. The tour continues underground to the Gihon Spring, the major water source of Jerusalem for over 1,000 years. Visitors seeking adventure can trek through knee deep water in King Hezekiah's 2,700 year old water tunnel, one of the wonders of early engineering. Continuing to the Shiloah Pool, the major water drawing source in biblical times, one reaches the Herodian Road, the ancient thoroughfare that led pilgrims north to the Temple.